iHome’s iBTW38 Bedside Speaker with NXP’s MP-A11 Fixed Frequency Wireless Charging Transmitter reference design addresses the growing demand for in-home wireless charging. Based on NXP’s certified reference design, iHome is the first to achieve Qi Certification for 7.5 Watts fast charging, supporting both iPhone and Samsung smart phones. NXP Semiconductors is first to receive Qi-certification from the Wireless Power Consortium for fixed frequency transmitter (MP-A11) reference designs supporting wireless charging delivering up to 15W of power. 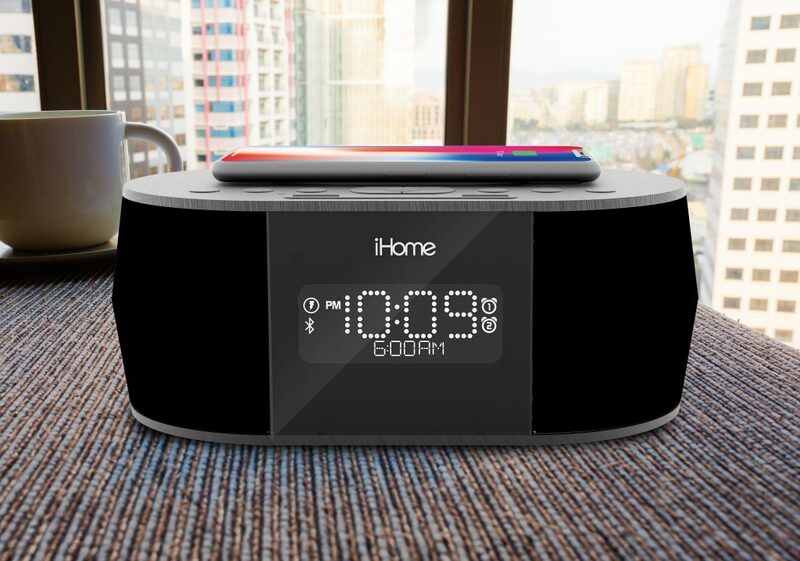 NXP worked closely with iHome in the development and Qi certification of iHome’s iBTW38 Bedside Speaker – the first commercial product from iHome to incorporate the Qi-certified 7.5W wireless charging design, powering all Qi wireless products from 5W, to the latest iPhone 8, iPhone 8 Plus and iPhone X at 7.5W as well as applicable Samsung models at 9W. The certification supports industry efforts to ensure consumer safety and interoperability of solutions in the market. The MP-A11 reference design, which was defined and developed by NXP as part number WCT-15W1TXFF, is already used in many leading transmitter solutions for mobile devices offering a best-in-class charging and safety experience. This is currently the only proven solution in the market to enable iPhone fast charging at 7.5W of power. Samsung fast wireless charging is also supported. With compliance to the Qi v.1.2.4 specification on the reference design, NXP customers that are manufacturing and designing transmitter devices can now easily speed the certification of their products. In some cases, this could reduce time to market by 50 percent. NXP develops system level wireless power solutions, containing NXP application software, libraries, controllers, NFC readers, and power devices. NXP solutions offer device designers and manufacturers programmability and flexibility, power efficiency, Advanced Foreign Object Detection (FOD), for objects such as payment cards, as well as high speed secure authentication.